Because silent EVs are dangerous, why not have some fun creating sound? Life can be challenging enough for those who are blind. There are countless potential dangers, cars included. Fortunately, internal combustion engined vehicles make plenty of noise to alert their presence. Not so for electric vehicles, and that’s a problem automakers need to resolve fast. According to , carmakers currently developing EVs are taking inspiration from rock bands and even science fiction as they work to create electric notes ahead of upcoming European Union regulations. Starting this July 1, EVs and hybrids must come equipped with an acoustic vehicle alert system that warns pedestrians before accidents happen. Beginning on July 1, 2021, all existing EVs and hybrids will have to be retrofitted with an alert system. These acoustic alert systems will be activated at speeds up to 13 mph. It has been determined that tire and wind noise will be good enough to warn pedestrians for speeds above 13 mph. And it’s not only the EU that is enacting these laws; the . Because the EV market expansion is all-new, the EU claims it will revisit the noise regulations in a couple of years’ time to make sure they’re effective. But what’s interesting is how automakers are coming up with their own unique sounds. 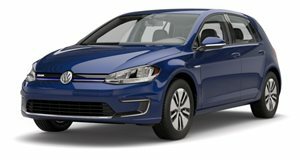 Volkswagen, for example, will give its EVs different sounds based on their type. Performance cars will sound more assertive while SUVs will have a deeper sound to reflect their size. 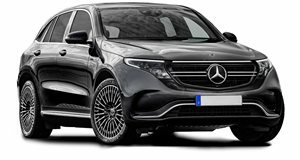 The new Mercedes-Benz EQC SUV features an artificial humming noise that’s just loud enough to warn pedestrians it’s approaching but not loud enough to annoy its passengers. But what’s really cool is that . 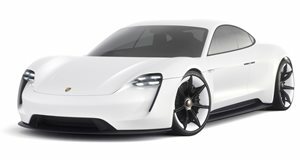 The soon to debut Porsche Taycan, according to Porsche CEO Oliver Blume, will feature an "authentic” sound inspired by the Le Mans-winning 919 Hybrid race car. While we’ll miss the sound of internal combustion, there’s a huge creative opportunity here for automakers when it comes to EVs. We can’t wait to see what else they come up with.